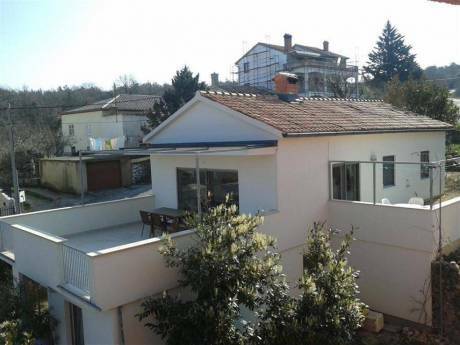 Completely renovated spacious house in the heritage site - a Renaissance hill town Labin situated on the Northern Adriatic. Unique space created by merging of two old houses one of which known as âLa Toretta Mezzalunaâ from 16 cent. There are tree floors with studio & gallery space on ground floor; large living room, kitchen and bathroom on second floor and bedroom on the third floor. Front side of the house is facing a Square with Museum, Church and Town Gallery and living room face intimate quiet back court. House is ideal for an artistic or a couple. There is living room sofa bed for guest accommodation. There is a vibrant art community in the town filled with rich cultural heritage. We are Denise and Dorjano, both in mid forties, and we live NY. Doriano is an engineer and I am a potter. We are both vegetarians and yoga instructors. 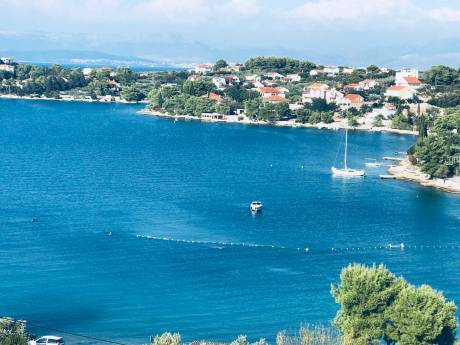 As we plan to stay longer in NY we are looking to exchange our home in Croatia with someone from New York City for an extended period of time of 1 year or longer. Labin is situated in a picturesque peninsula Istra at the North Adriatic coast, described as âNew Tuscanyâ. 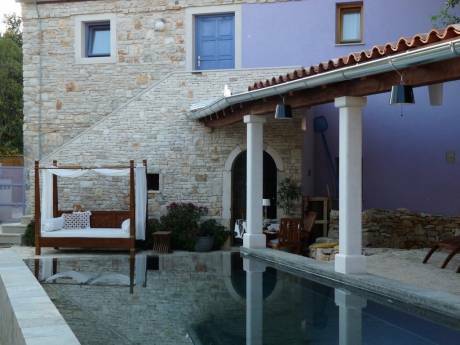 Intimate but urban, 3 miles from the coastline, two hours from Venice and Zagreb, not fare from Alps. Friendly people and good food, beautiful landscape and rich cultural life.